Styling On A Budget is back with another fabulous beauty product review from Zoe Natural Creations! We are all about natural products that help improve your skin while leaving it moisturized and healthy. The Sugar Body Scrubs work to unclog your pores, act as an exfoliant to remove dead skin, dirt, and impurities, and leave your skin feeling hydrated. 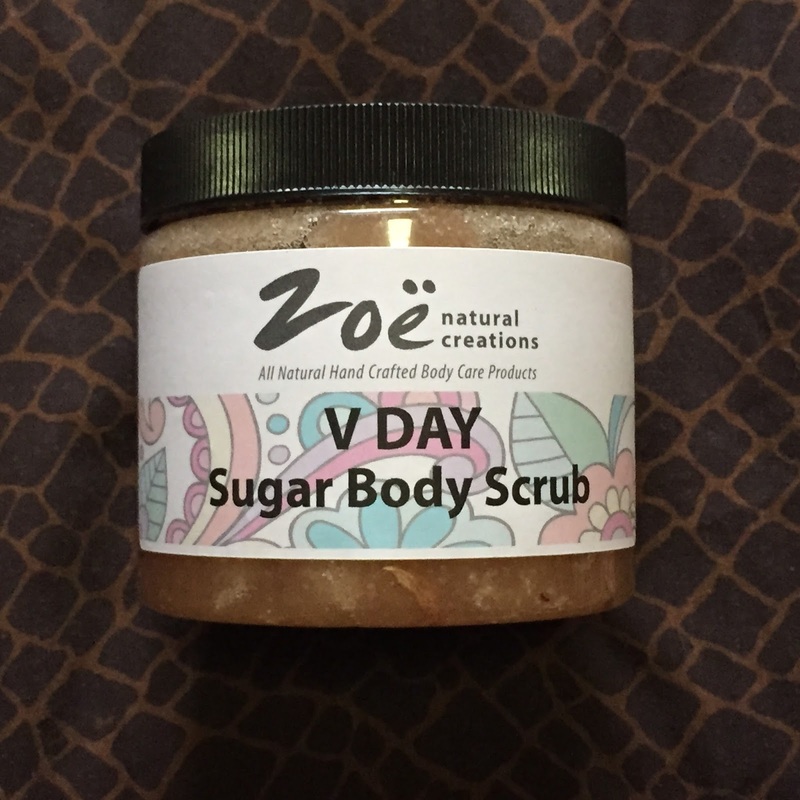 I had the opportunity to try the V DAY Sugar Body Scrub, and I love the way it leaves my skin feeling. It's made up of 100% natural unrefined organic cane sugar, sweet almond oil, shea butter, vitamin E, cypress oil, grapefruit oil, rosemary and patchouli, and organic ground coffee. I have been using this product at least once a week for a month now. I apply a small amount onto my hands and massage it all over my body. The product rinses off easily and leaves my skin feeling so smooth and clean. I highly recommend that you use this product if you are interested in having healthy, hydrated, and smooth skin. You can shop this product online at Zoe Natural Creations for $26. A little bit goes a long way, so this 16oz jar will last awhile!